With some caveats (see below), we believe that the best season is from April to October. Keep in mind that Peru is a large country with diverse geographies, including beaches, desert, mountains, and rainforest – each with its own climate, flora, fauna, and weather conditions. This makes it difficult to determine a good time to travel to Peru if you are visiting several places during your trip. Our best advice is to check weather conditions in each of your destinations — or ask your friendly Travel Advisor for some tips! — and pack your bags accordingly. Machu Picchu is open 7 days a week, every day of the year, including holidays. If you want to an opportunity to see one of the Seven Wonders of the World the way it looks in classic photographs — clear blue skies as a backdrop to sun-lit stone ruins nestled amid jungle covered granite peaks — your best chance in during the dry season between May and October. Note however, that even during the dry season, there may be morning and afternoons with heavy mists that can obscure the views. 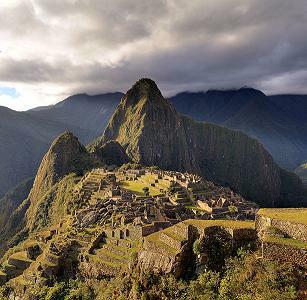 For a tour to Machu Picchu, the warmest weather is from November to March. BUT this also corresponds to the rainy season. In other words, higher temperatures do not correlate to great weather at Machu Picchu. Peak travel season for tourists from around the world and from across Peru flocking to Machu Picchu is from June to August. During this time, large crowds can make it a little hard to move around some parts of the Sanctuary and long lines at the ruins entrance are common. June to August is also a popular time for travelers who choose the hardest, most exciting way to get to Machu Picchu by the Inca Trail hike. >Rain — anything from light drizzle to heavy downpours — occur almost daily from November until March. The heaviest rain is in February, which is also when the Inca Trail path is closed for maintenance. Orchids love the rain — blooming season begins in October/November and continues until March. Overall, we think the best time to visit Machu Picchu is from April to October. Again, rain and fog is possible at any time of year because Machu Picchu is located on the edge of the rainforest. But during the “dry season,” you have the best possibility to appreciate the full beauty of the ruins. 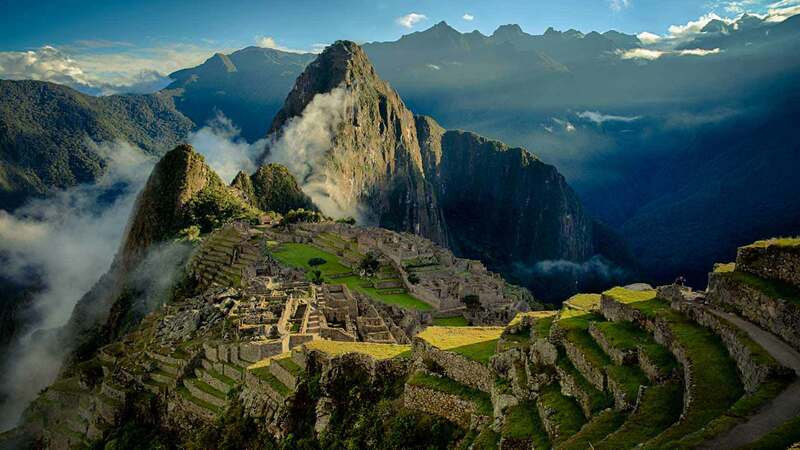 Machu Picchu is open, but the Inca Trail is closed for maintenance during the whole month. Worst of the rainy season along with February. Floods and landslides due to rain are possible. Crowds are fewer. Shoulder season months. Pleasant climate and warm-to-cool temperature. In our opinion, the best months to visit for good weather. Days are warm, nights are cool. Very little rain. *The Inca Trail season is open from March to January. In February, the trail is closed due to intense rains in that month. The best time to trek in the Andes is from April to October; however rain is possible at any time of the year. June, July and August are the high season for trekking and Inca Trail permits sell out quickly, sometimes months in advance.